New Client Special $104 per hour - Click Here! Great news! You don’t need to stress over house cleaning chores any longer because Image Maids serves Holly Springs and Cherokee County, along with Cobb and North Fulton counties. Haven’t heard about Image Maids yet? We are family-owned residential cleaning service that can give you more free time and a sparkling clean home. Residential maid services or house cleaning services can benefit everyone - whether you live in an apartment, condo, townhome, single-family home or on a large estate. Image Maids has experience working with a wide range of clients on a weekly, bi-weekly, every three weeks, monthly, and/or as needed basis. We can create a custom cleaning plan for you that fits your lifestyle at an affordable rate - just fill out our quick online house cleaning estimate form to get more information. As a family-owned business, we understand the importance of spending quality time together at local events, such as the annual Holly Springs Easter Egg Hunt or Memorial Day 5K, instead of spending hours of time cleaning bathrooms and scrubbing floors. You can trust us to do a thorough and professional job every time we visit your home. Amazing, honest and very reliable! Our professional house cleaning team is licensed, bonded, and insured, so you never have to worry. They will arrive on-time to help you get the beautifully clean home you’ve been dreaming of having without sacrificing hours of your time and energy. You can read our client reviews on our reviews page that are being streamed in directly from sites such as Google, Facebook, and Yelp. What Does Our Cleaning Service Include? They arrive on time and do a great job! Image Maids are great! The staff is always very accommodating if I have to change an appointment! Thank you Ladies for your hard work! Our clients love living in Holly Springs because it’s a city of quaint neighborhoods, top-rated schools, and prospering businesses that have been built up around a bustling historic train depot. 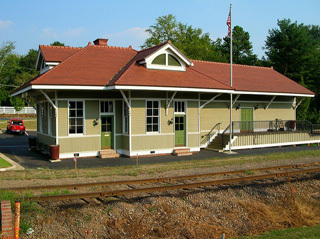 Originally constructed by the L©N Railroad in the early 1900’s, the depot was restored in the 1990’s and currently serves as a popular community landmark. 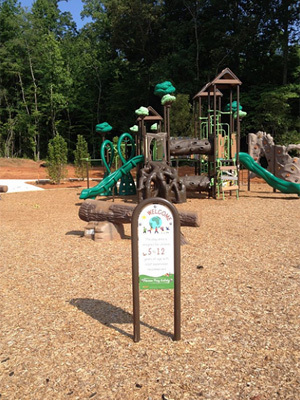 Another favorite spot frequented by Holly Springs residents is J.B. Owens Park. The 33-acre park has a playground, covered pavilions, natural and concrete trails, and an open play field - it’s the perfect place for a family picnic or outdoor sporting activities. There is certainly no lack of things to do in Holly Springs. Check a list of seasonal events that take place throughout the year, and you’ll see that there is almost always something to participate in or look forward to. The Great American Cleanup, Memorial Day 5K & Fun Run, Autumn Fest, Christmas Tree Lighting, and Christmas Parade all provide residents with opportunities for family fun and community involvement. Given the family-friendly atmosphere, top-rated schools, and seasonal events, it makes perfect sense that Holly Springs was just ranked as the #2 “Best Georgia Suburb to Purchase a House” by Niche.com. Don’t spend another minute cleaning and fussing when you can just relax with Image Maids on the job. Plus, you can take advantage of our new client special and get $104 per hour special rate!. All you have to do is fill out our online estimate form today, and you’ll be just a step closer to a sparking clean home! I completely rely on Image Maids, without them and their amazing service each week my house would be a wreck. With 3 children and a two income family Image Maids handles my housekeeping needs so I don't have too and allows me to spend time with my family each weekend instead of cleaning. Thank you to several wonderful years of service.